The ancient Mayan civilization, commonly recognized for its pyramids, like the Temple of Kulkukan (El Castillo) at Chichen Itza, was a sophisticated society that made significant discoveries and advances in many fields. 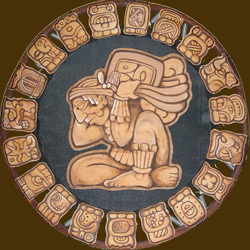 Much of Mayan culture and almost all of their writings were lost during the Spanish conquests, however in general their medicinal practices and knowledge survived by being passed orally from generation to generation. These practices have many similarities to Eastern medicine. More and more, natural healing is proving to be effective and is often used in addition to or in conjunction with Western medicine. Mayan medicine is holistic and takes into consideration every aspect of health; the physical, the spiritual and even things we might consider outside influences, such as nature. According to ancient Mayan healing practices, there are 6 principles of medicine. Life energy (ch’ulel) similar to Chi in Eastern medicine, is everywhere and it means everyone and everything are connected. Praying can direct your life energy to where it is needed. 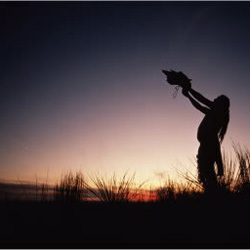 Healers (h’men) try to balance this life energy which binds everything together; you, me, mountains, animals, rivers, houses, etc. There is no separation between the physical and spiritual realms; they are only different ends of a continuum. Within the continuum are spirits which can help to heal us. Everything is part of a natural cycle. Plants choose healers and a special relationship develops which allows the healer to utilize the plants. The healer even speaks to these plants. 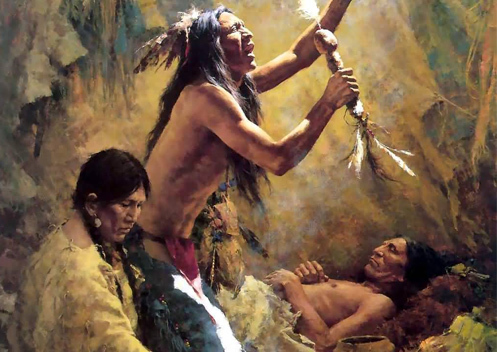 All components of healing, the patient, the healer, their spirits, the plants, prayer, are equal. Pulses are used to determine imbalance and whether an illness is physical or spiritual. This will in turn determine the course of treatment. Some diseases are “hot” (vomiting) and some are “cold” (paralysis). Some foods are “hot” (onions) and some foods are “cold” (cheese). “Hot” plants treat “cold” diseases and vice versa. (Locals believe it is not wise to eat or drink something very hot and then very cold, or vice versa, because it is a shock to the system and will cause gastrointestinal problems. It is possible that this belief stems from this 6th principle of Mayan medicine). 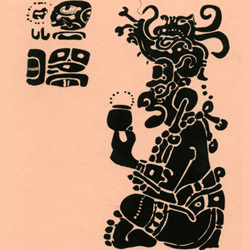 We could probably learn a lot from the ancient Mayan healers and their principles. The most effective and comprehensive treatment of all just might be a combination of modern Western medicine and ancient Mayan healing.